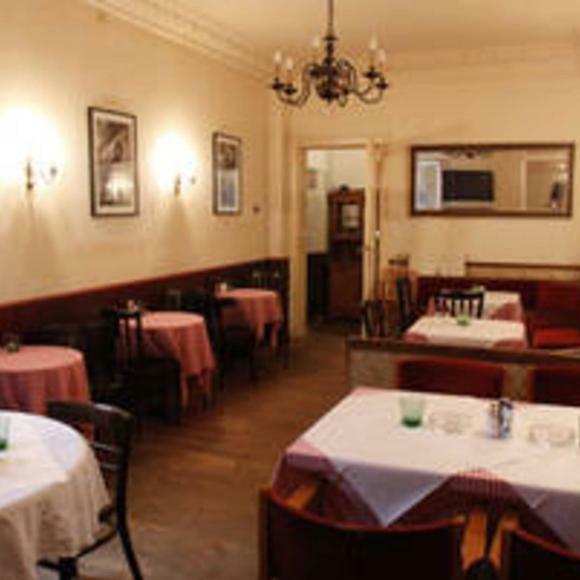 Atmospherically warm and local-feeling restaurant serving home-made Austrian and German food somewhere between unpretentious-tasty and foodie. Schnitzels rank among the city's finest, but the attention to texture and flavours doesn't stop there. April visitors might consider the tasty seasonal white asparagus (weißer Spargel). Chequered tablecloths, wooden floors and candlelit all hit just the right casual note. The establishment's owner previously was linked to the street's other excellent schnitzel-specific restaurant Austria [see entry]. A smoking dining room (!) out back features framed portraits of movie stars in a smoking pose. Open 9am–midnight daily (Sunday from 10am), with breakfast served until 4pm. Directly adjacent to Felix Austria is an excellent old-fashioned knife and kitchen shop Holzapfel. Favourite Berlin combination of food (including schnitzel) and atmosphere. Food and atmosphere are the bee's knees. One of Berlin's finer schnitzels, with the rest of the menu just as tasty. Ausgezeichnet.